St Patrick's Church stood on Frank Street between Highgate Street and the old Belgrave Road, close to where Frank Street now joins the Belgrave Middleway. 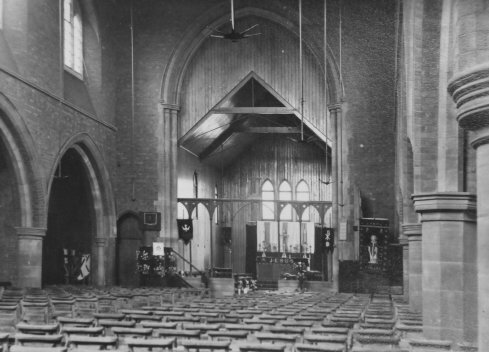 With the success of the Pollock's mission and the rapid growth in the population of Highgate an additional church was needed and in November 1873 the first St Patrick's Mission opened on Highgate Street reported in Berrow's Worcester Journal as providing "505 kneelings". Like the first St Alban's Mission, it was a dual-purpose building, serving as a school during the week. 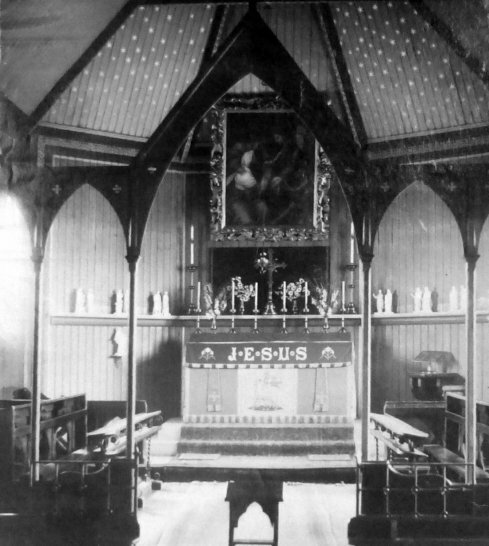 In 1889 a separate temporary iron church was erected to which an iron chancel was added in 1891. St Patrick's mission prospered and a new permanent church was planned. Designed by John Loughborough Pearson, this was begun in 1895 and opened in 1896 with a temporary iron chancel and only the base of the proposed tower. The date was commemorated on the church stamp in the Prayer Books, some of which survive at St Alban's Church. 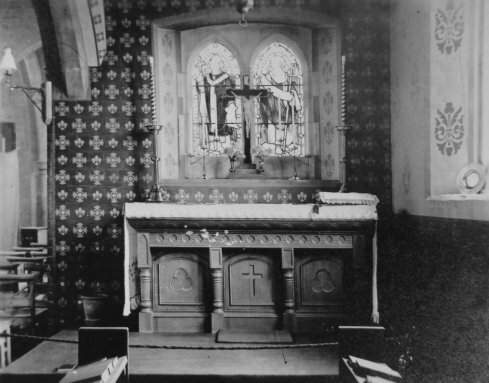 It was consecrated in 1899 and in 1900 a separate parish of St Patrick was created out of part of the parish of St Alban and parts of the parish of St Paul, Balsall Heath, and the former parish of St Thomas in the Moors, Balsall Heath. The living was in the gift of the Vicar of St. Alban's. The temporary iron chancel was replaced in brick with a polygonal apse in 1906, but the tower was never completed. 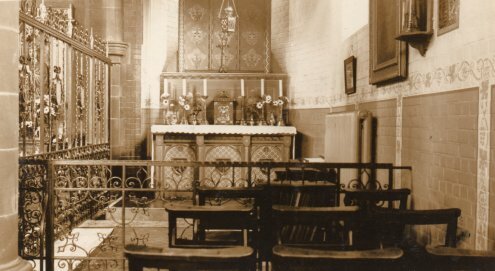 In August 1940 the organ was destroyed and the choir stalls damaged by incendiary bombs. In 1947 Birmingham City Council placed a Compulsory Purchase order on St Patrick's Church and the adjacent School, which lay on the line of the original plans for the Ring Road Scheme, but the order was withdrawn in 1953 when the plans for the Ring Road changed. 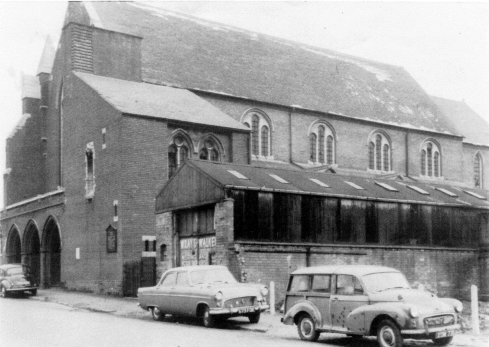 However, with the clearence of much of the housing from the parish, it was clear that St Alban's Church could accommodate both congregations in a united parish and the Compulsory Purchase Order was reinstated in 1959. However, land values had risen since 1947 but the City Council sought to pay for the land it was purchasing at its 1947 value, leading to a legal battle taken all the way to the House of Lords, with St Patrick's Parochial Church Council and other churches in a similar position eventually obtaining compensation at current land values. 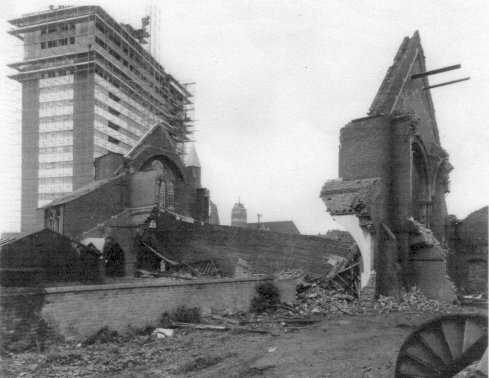 The last service was held in St Patrick's Church on 1964 Sunday 27th September and the Church was demolished in 1966. Great efforts were made by the Parochial Church Council to find appropriate new homes for the ornaments of the Church. 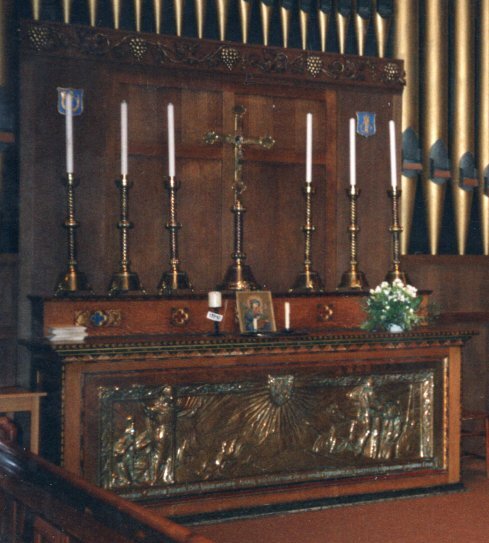 Today several items from St Patrick's Church can be seen in St Alban's: the Rood Beam; the two stained glass windows of St Thomas of Canterbury and St James of Nisibis from the Lady Chapel, refurbished and installed in the South aisle as a memorial to Canon Harding; fine wrought iron railings from the side of the Blessed Sacrament Chapel, made by the Bromsgrove Guild, now forming the side of the Lady Chapel; and the statue of St Patrick. 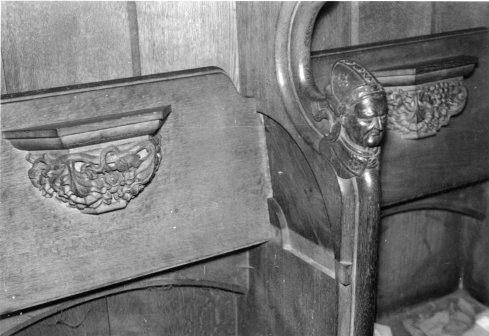 The pulpit and lectern went to the Church of the Ascension and the chairs to St Mary's Hobs Moat. 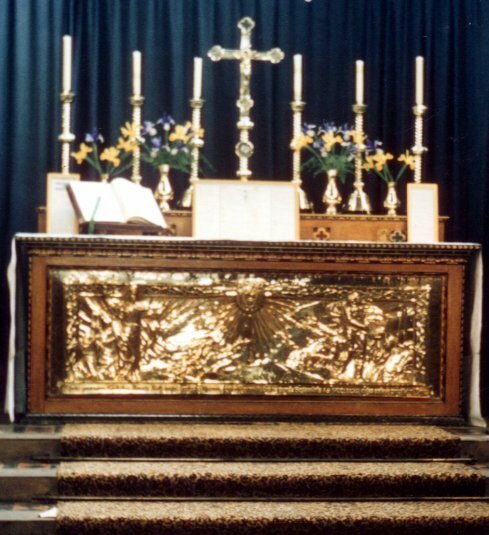 The High Altar with its spectacular beaten bronze scene of St Patrick was transferred to St Barnabas, Erdington, where, alas, with many other fine things it was destroyed in the disastrous fire on 4th October 2007. 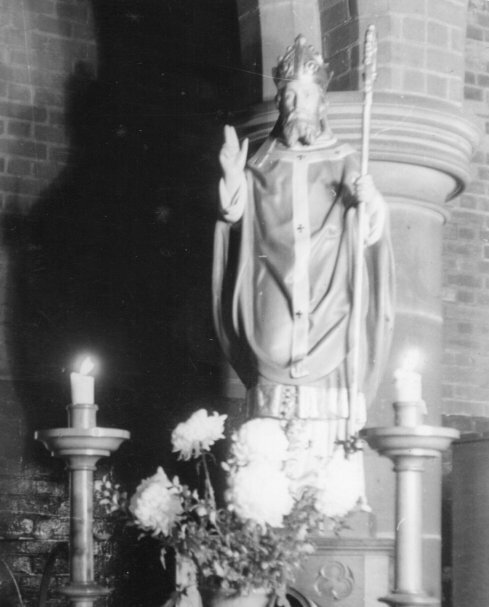 St Patrick's Parochial Church Council retained its separate existance until January 1973 when the benefice and parish were united with St Alban's by Order in Council. The part of the parish south of the Belgrave Middleway, which had come from the parishes of St Paul's and St Thomas in the Moors was transferred to the parish of Saint Paul, Balsall Heath. 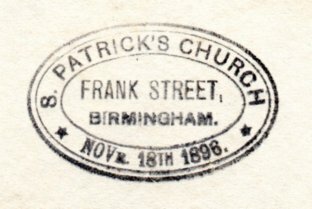 Much of this information is derived from Saint Patrick's Church of England Church, Frank Street, Balsall Heath, by Paul Brookes and Dennis Barker, 2013 (Privately Printed).